Located on the center console, your display is programmed with VW Car-Net App-Connect to give you turn-by-turn directions with live traffic updates and more. Sync your smartphone easily and access your phonebook, compose hands-free texts, and stream audio with voice commands. A superb 480-watt sound system delivers your entertainment with the high-quality audio throughout the cabin. Get a glimpse of not just what’s behind you, but on every side so you can avoid hitting a nearby parked car or other object when driving in reverse. 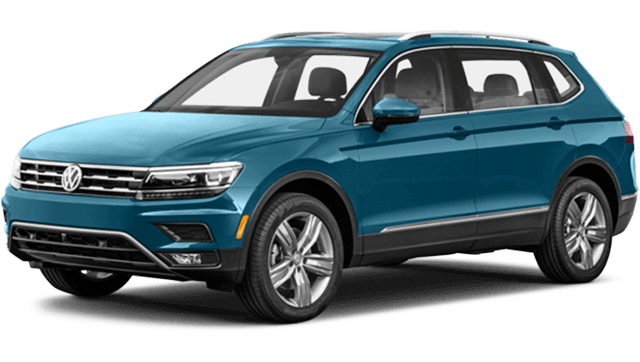 There are so many fun features inside of the new Volkswagen Tiguan that will make your family love every ride more than the last! A suite of driver assistance technology is available to better protect you from accidents with features like Front Assist, Park Pilot, Lane Assist, and Adaptive Cruise Control. The digital cockpit, located behind the steering wheel, clearly displays important performance information and saves driver information so you can switch drivers easily. There’s also a hands-free power liftgate, dual-zone automatic climate control, and steering wheel-mounted controls for your convenience. 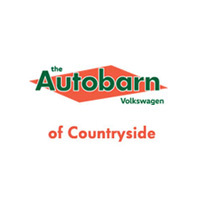 Find out more about new Volkswagen Tiguan technology like Car-Net App-Connect and other great features at Autobarn Volkswagen of Countryside, located at 6161 Joliet Road, near Downers Grove. If you’d like to make an appointment with one of our friendly sales specialists, give us a call at (708) 469-4248. We’re also available to answer any questions you have if you’d like to fill out our online contact form. Don’t hesitate to stop by today and learn how you can finance this exciting SUV!